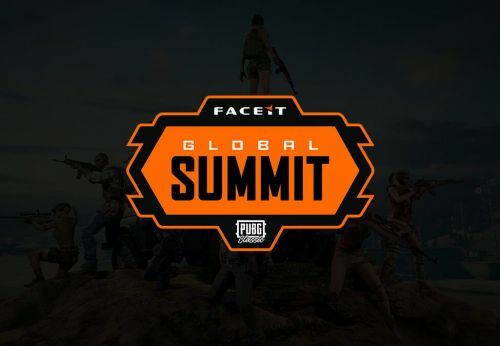 FACEIT, the leading competitive gaming platform and organizers of some of the largest esports events in Europe and North America are pleased to reveal the details of the FACEIT Global Summit: Sunday Roast Showmatch. The showmatch will take place on Sunday, April 21st on the final day of the FACEIT Global Summit at ExCeL London, and will see some of the biggest names in battle royale esports compete in duos alongside pro players, broadcast talent, and players from the community who have qualified through the Showdown monthly cups. The prize pool of over $50k is awarded as bounties for a series of achievements throughout the matches to encourage varied and exciting competition across Miramar, Sanhok, and Vikendi. The showmatch roster will be made up of 32 duos, including hugely popular UK streamer Cyanide and his formidable partner Edberg, as well as the esteemed Team Solomid PUBG roster who will all compete using custom settings designed to maximize carnage. The best players from the community who have made it through the monthly FACEIT PUBG Showdown tournaments have also gained spots on the showmatch roster. FACEIT is known for producing hugely popular CS:GO showmatches, most recently at the FACEIT London Major, the most watched CS:GO event of all time which saw over 62M hours watched on Twitch alone. The Major showmatch thrilled the sold out crowd in the SSE Arena, Wembley at the finals last year and FACEIT will look to replicate the success with their stellar lineup of PUBG icons and the substantial prize pool raising the stakes. “Showmatches are a fantastic way for participants to get creative and thrill viewers with unique and exciting player combinations. Our epic lineup of PUBG stars combined with the solid prize pool adds a competitive edge to the showmatch format that will deliver an unforgettable spectacle for fans in London this Spring,” said Michele Attisani, Co-Founder & CBO of FACEIT. The FACEIT Global Summit: Sunday Roast Showmatch takes place at 10 am on April 21st. More participants will be revealed this week, follow the competition on Twitter (@faceitpubg / @pubgesports) to stay updated on special guests as they’re announced! PUBG Lite PC: 4 Reasons why you should start playing it today? PUBG LITE (PC) BETA soon to be available on Steam: The global release is nearer than you can think!